Choose your favorite flavor of delicious Richardson Mints. 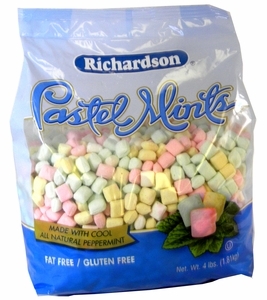 Butter mints; or Pastel colored mints. This is a 12 oz bag. Sorry, but the Richardson Jelly Mints are no longer available by the manufacturer. 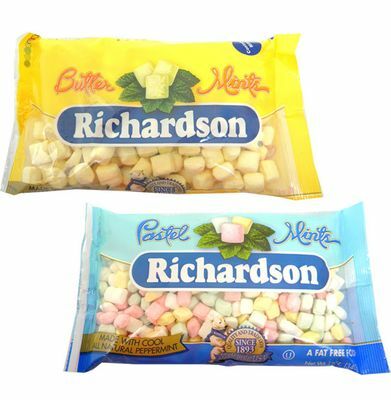 These are so delicious and Kroger stores don't stock them regularly anymore. Sometimes I can find them as a seasonal item. Love Butter Mints and my dad loves the pastel mints.